A good ESL speaking activity makes an TEFL lesson but it doesn’t have to take a lot of time to prepare. 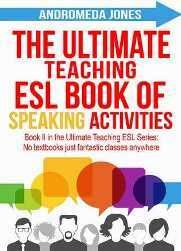 In fact, the more you step back from an EFL activity, the more you will engage your students as you’ll give them space to use their imaginations. Follow this five activities to get your students speaking requiring no preparation from the teacher. “You and your partner have decided to buy a new car. But with all the choice out there it’s difficult to make a decision. OK, now stand back and watch the enthusiasm escape from your class like air from a balloon. There is no spark, humour or interest in this situation. It’s boring. The students have no creative investment in this task. The entire argument has been written out for them, all they have to do is follow and say the words expected of them. But that’s not true, your students do have imaginations and are probably highly creative, you just need to involve them. What’s the best way to find information about holidays? What’s the worst holiday you’ve ever been on? Where would you least like to visit? If I gave you a free 5 star holiday to North Korea, would you go? And so on. Alternatively get your students to ask each other these questions as an initial speaking practice.These questions set the scene and get your student’s creative juices flowing. There is a travel agent and a client. The client wants to book a holiday to [insert name of students’ dream destination here] but the travel agent wants to sell them a holiday to [inset name of students’ nightmare destination here]. And that’s it. You haven’t given a reason for why the travel agent wants to sell a holiday to, let’s say North Korea; your students can make that up themselves meaning that each role play is different. Setting up a role play this way is far more fun and engaging for the students. The task will last longer and there will be no more embarrassing silences while students search for an answer to a dumb question written on a role play card. They’ll be coming up with the dumb questions themselves and they’ll love it. If you’re teaching a ESL vocabulary lesson such as money, law, politics and the economy, a good way to practice is with a debate. Coming up with a set of questions yourself, however, often falls flat as because you are a foreigner and probably won’t understand the cultural and political nuances of the country you’re teaching in. Take the responsibility away from yourself and get your students to come up with the questions themselves. First elicit from the class: Opinions vocabulary, agreeing and disagreeing and structuring your arguments. See a basic table below. Next ask them to write three questions on slips of paper. Put the slips in the middle of the table (or write the best ones on the board for a large class). Finally divide your class into pairs and ask each pair to pick up two questions to ask each other, using the opinions phrases. Note: It is possible that students may not want to answer some of the questions as they would consider them too strong or even offensive. For this reason make it clear that students can pass on any question that they wish. Using this information your students must now make a story in pairs. Give them 10 minutes to complete the task, then each pair must recount their story to the class. The winners are the ones with the best tale. This is a great way to end a class and students bond as they get to find out more about their classmates. Only one student per lesson can tell their lie and truths though as it is very time consuming. At the beginning of the lesson ask your students to write down two facts that are true about them and one that is a lie. Tell them that they will be questioned so the lie must be very convincing. Then towards the end of the lesson ask a student to write their three statements on the board. The rest of the class has three minutes to question the student to work out which one is the lie. This task is great for question practice or as a warmer activity to start your class. Divide your students into pairs and give each team a different location such as: An archaeological site, a wedding show, a Google conference, a young entrepreneur of the year awards, a political conference or a yacht race. Student A is a journalist and Student B the interviewee (they invent the character). Together they must make the most interesting interview possible with their questions and answers. What do you do? Do you ever? Have you ever? Would you ever? How often? When was the last time? Do you usually? Did you used to? How long have you…? How long does it take…? When were you born? What’s it like? What does it look like, sound like, taste like? What about you, fellow TEFL teachers? 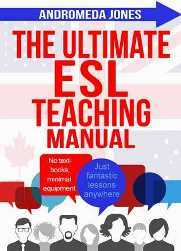 What are your go-to ESL speaking activities? For more speaking activity ideas go to 5# ESL speaking activities you can do with picture cards. 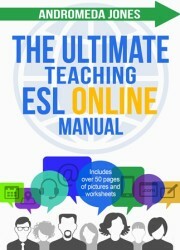 For lesson plans, drills, speaking exercises on every ESL grammar point, along with vocabulary sets, buy our best selling book The Ultimate ESL Manual.